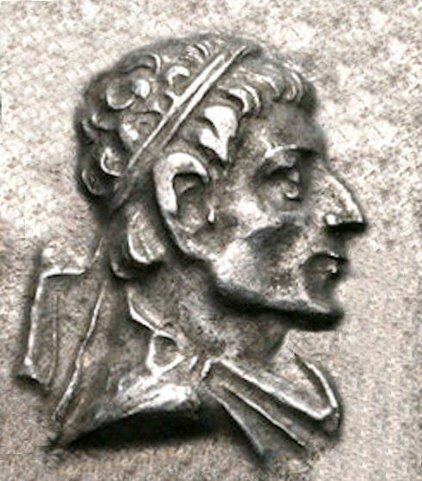 Heliokles II is thought to have been one of the later Indo-Greek kings and a relative of the Bactrian king Heliocles I. Bopearachchi and R. C. Senior seem to agree that he ruled ca 95–80 BC. Heliocles II seems to have been engaged in a series of wars with Strato I in Gandhara and Punjab; the two share several mintmarks and Heliocles II overstruck many of his coins. During this period, a number of kings fought for hegemony in the Indo-Greek territories. Some of them were likely supported by nomad Saka rulers such as Maues. Heliocles II issued Indian silver with portrait (diademed, helmeted or spear-throwing) / standing Zeus and bronzes with bearded diademed portrait (Heliocles or Zeus) / elephant. It is uncertain whether he struck Attic coins. A number of posthumous coins for Heliocles I have been found in Bactria; possibly some of these may have been struck by Heliocles II, though there are no similar monograms.